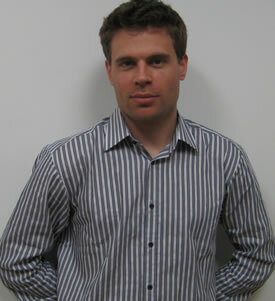 Julien Mercille is Lecturer at the School of Geography, Planning & Environmental Policy of the University College Dublin. Before receiving his PhD in geography from UCLA (Los Angeles, USA) in 2007, he obtained an MA in geography from the University of Kentucky (USA) and a BA in International Development Studies from McGill University (Montreal, Canada). 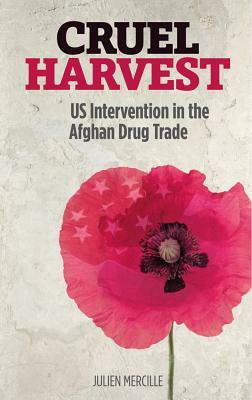 The book explores the drug industry in Afghanistan and the US/NATO intervention there. It examines the mainstream interpretation of the role of Western powers in Afghanistan in relation to the drug trade and provides a critical alternative view grounded in political economy. It seeks to show that the US/NATO share a large part of responsibility in the expansion of the narcotics trade. That’s contrary to the official narrative, namely, that the Taliban are the main culprits. The book seeks to answer the following questions: How can we explain the fact that Afghanistan is the leading heroin producer globally? What is the role of the Taliban in the drug trade? What is the role of the US/NATO in the drug trade? What solutions should be adopted to deal with the problem of Afghan drugs? I have based my research mostly on reports on the Afghan drug trade by the United Nations and scholars and NGOs working in the field in the country. I also conducted a number of interviews with officials from the US military, NATO, members of development organisations working in Afghanistan, activist groups and fieldworkers, among others. The book shows that the Taliban are minor players in the Afghan drug trade, capturing only about 5-10% of total drug revenues (depending on the estimates). In fact, the bulk of those revenues are captured by US/NATO allies, such as Afghan government officials, the police, and the military. There are also some “independent” traffickers who are important players. We often hear that the Taliban are located in the south of the country, just like the poppy fields, and that therefore this proves that the insurgents are the driving force behind the narcotics trade. However, all regions of Afghanistan are awash with drug money because the trade occurs everywhere, not only in the south. Therefore, regions that are controlled by NATO and the Afghan government are also filled with drug activities. A second important finding is that whereas the official discourse tells us that the best solution to deal with Afghan drugs is to conduct operations within the country (whether it is of a military nature or based on agricultural development), in fact, the most effective solution is to reduce the demand for drugs in consuming countries. The latter are mostly Europe and Russia (the United States imports most of its heroin from Latin America). Therefore, we must provide more treatment and prevention services for addicts in Europe, and that should reduce the size of the global narcotics industry. The book offers a critical perspective on US involvement in Afghanistan as related to the drug industry and drug war there. It highlights that Western powers share a large part of responsibility in the expansion of the heroin trade, since 2001 and before that. There have been a few books making that kind of claim before, but a number of them fell into conspiracy theories against the CIA or the US. On the contrary, my book adopts a political economic take on US foreign policy and argues that what we see in Afghanistan is in fact not surprising: US foreign policy is not motivated by concerns for drugs and drug wars, and therefore, US forces do not really care about drugs in Afghanistan. They use local warlords as allies in their occupation, and if those warlords happen to be drug lords as well, so be it. The political, legal and military protection provided to warlords by the US/NATO ensures that their drug activities will continue unabated, as they will not be arrested, thanks to US/NATO protection. I have been studying US foreign policy and critical political economy since graduate school and this book falls squarely within those interests. In particular, it relates to a general interest in the ‘War on Terror’. I would suggest applying the book’s ideas to other cases of ‘wars on drugs’, for example, in Mexico, which I have started publishing on, and West Africa, which is now depicted as a transit region for cocaine shipments from Latin America to Europe. Cutting through the official narratives to uncover the real factors behind those drug wars promises to be very interesting. Will your book bring a full stop to drugs trade either by the taliban or US/NATO? ?